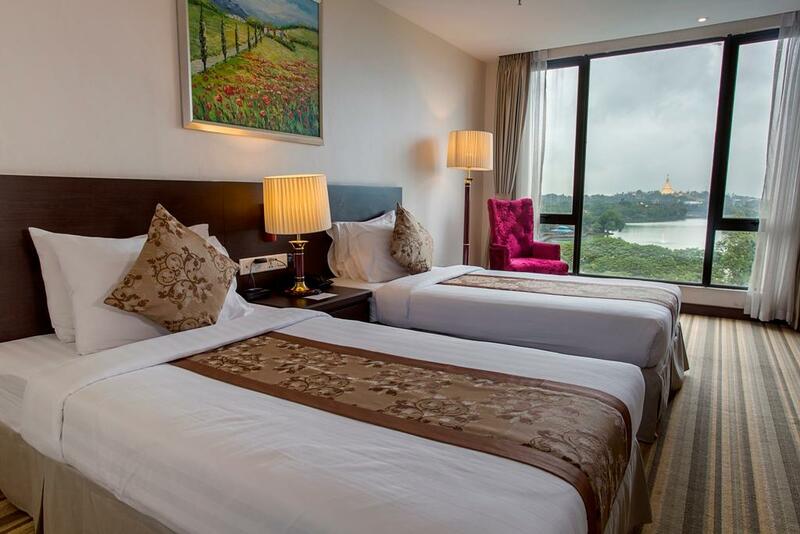 ﻿ Esperado Lake View Hotel, Yangon | FROM $50 - SAVE ON AGODA! "We enjoyed our stay and the view is great." Have a question for Esperado Lake View Hotel? "Good spot to run in the morning too, have a great jogging round the circumference of Kandawgyi Lake about 7-8km one big round." "Friendly staff and easy to hail taxie anytime." "Rooftop restaurant has great view." 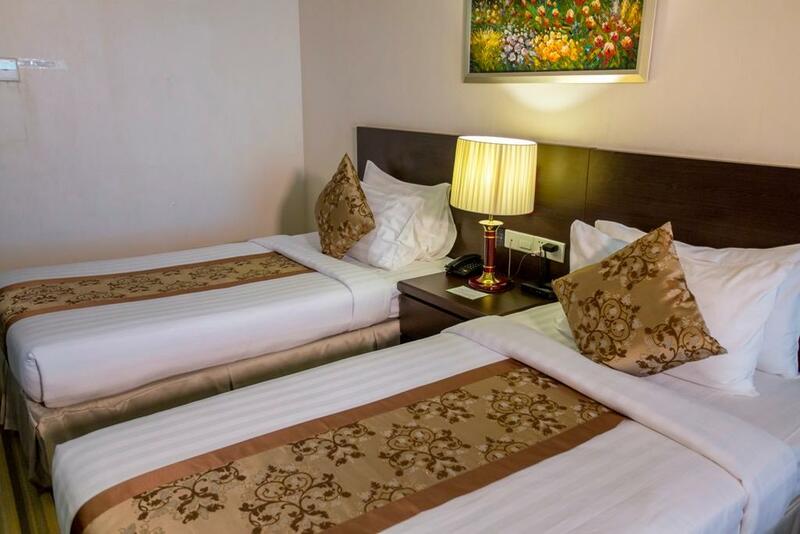 If what you're looking for is a conveniently located hotel on the shores of Lake Kandawgyi, look no further than Esperado Lake View Hotel. 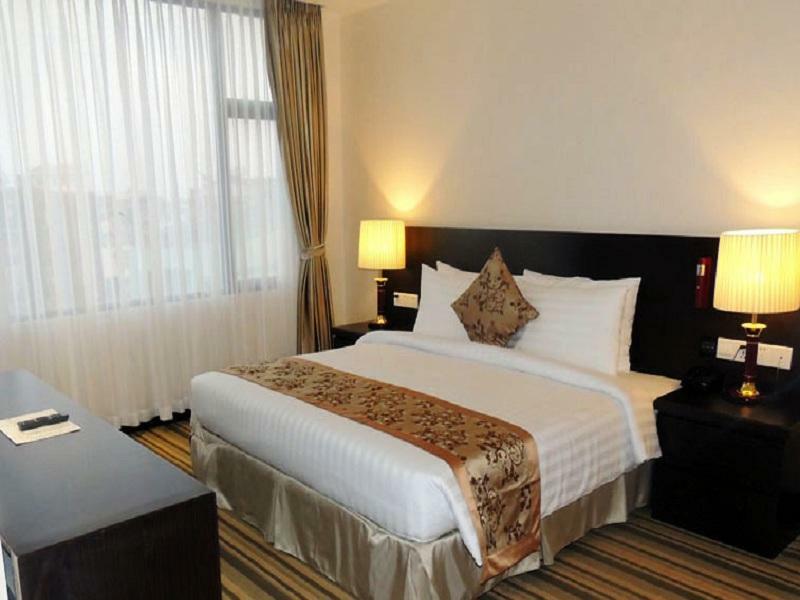 This 4-star boutique hotel is approximately a 10-minute drive from the city’s key business districts, and shopping malls are within easy reach of the hotel. With its convenient location, the property offers easy access to the city's must-see destinations. The hotel comprises of 109 contemporary rooms and suites with stylish features and luxurious space and views towering of Lake Kandawgyi. 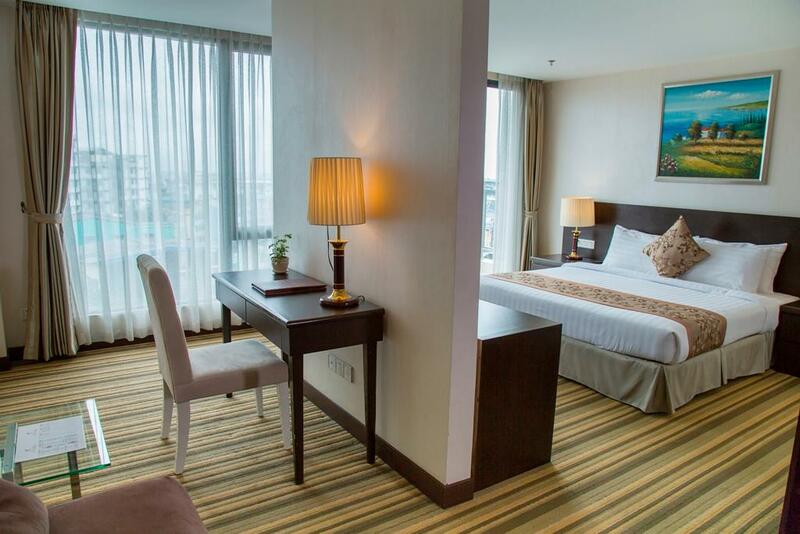 All rooms exude an atmosphere of total peace and harmony that feature thoughtful amenities including air conditioning, bathrobes, free Wi-Fi, satellite/cable channels and mini bar to ensure an unparalleled sense of comfort for the guests. Guests of the hotel can enjoy on-site features like 2 function halls, business center, an all-day dining restaurant, a specialty Sky View Bar & Restaurant. Sky View Bar & Restaurant combines traditional and international menus with different styles of dishes from all over the world offering the perfect place for socializing and networking. Other guest facilities will be the health club with state-of-the-art cardiovascular and weight-resistance equipment and steam rooms. The hotel’s convenient location and value-added propositions will appeal to the discerning needs of business and leisure travelers to Myanmar - seeking a luxurious and relaxing retreat at an affordable tag. "Nice hotel with good rooftop restaurant"
Friendly and efficient team especially Moe and Yin Win. Sent in a request for a document to be printed and it was ready upon arrival. Most of the Front Office team were rather fluent in English. Hotel needs to improve on the electrical wirings as two of the power outlets by the bedside could not be used when I tried to use it to charge my handphone. Room has no master switch so had to individually turn off the different lighting points in the room. Hairdryer was not working and I was told that someone would bring it to me; waited for more than an hour, no one turned up. Other than that, stay there was rather pleasant and peaceful. Staff are very friendly too. Room for improvement: (1) The check in process was frustrating. I arrived at around 2:10 pm, and the hotel's check in time is 2 pm. But I had to wait for almost 45 min in the lobby for a room. And it was quite frustrating especially after you're tired from a long haul flight. (2) House keeping is quite inconsistent. Some days, I had to call them to replace toiletries. Other days, for towels etc. Otherwise, the lake and pagoda view from my room and balcony was breathtaking. Staff are friendly and helpful. 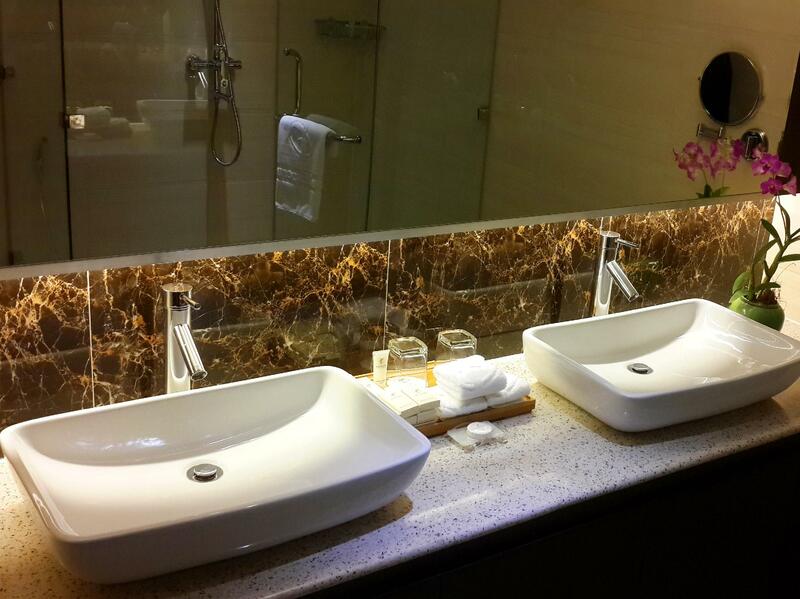 Towels are impressively new and stain free (unlike most other hotels in Yangon). We loved everything about this hotel: friendly, helpful staff, spacious corner lake view room, comfy bed, good a/c, nice shower, clean, spectacular views and delicious food in the restaurant, interesting park and night market just across the street, and on and on. We'd choose this hotel again in a minute. We have stayed at this hotel many times due to it's location and view from the rooftop restaurant. The rooms are starting to get a little old and in need of some updating but overall still a good place to stay in Yangon for the price! The staff are very helpful and friendly but you may need to check on your restaurant orders as sometimes there is a little communication issue! But again would stay here again when in Yangon again! This is our 3rd time to stay here. 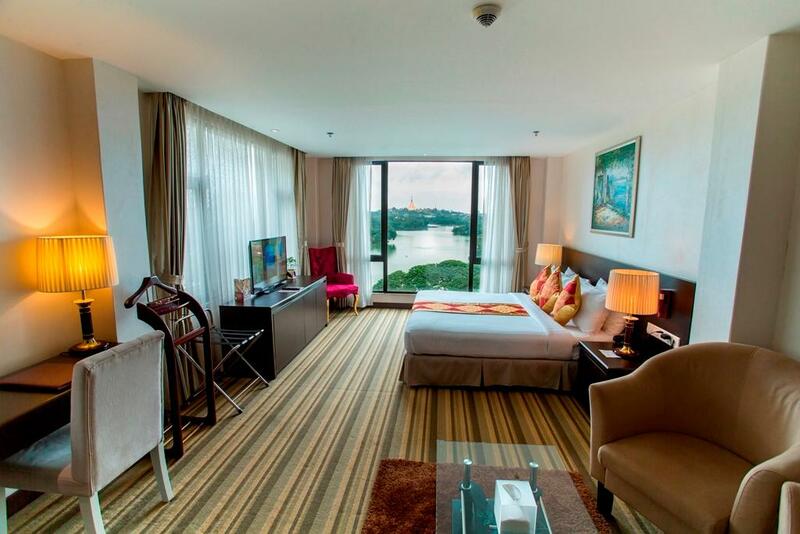 The hotel is located at the end of the lake so be sure to book a lake view room or visit the rooftop restaurant for the views of the Shwedagon Pagoda both during the day and especially in the evening! The rooms are in need of some renovation and the beds are a little stiff for my liking but the staff are all very friendly and breakfast is very good! Amazing view ! Beautiful , clean room and bathroom ! Extraordinary experience ! Very very friendly staff ! I loved it ! I cannot wait to be back again ! We enjoyed our stay and the view is great. However, to compete with the new hotel next door I suggest that the management review their coat hanger policy. One of the coat hangers was broken so instead of sticking it together and hanging it up I placed in in plain view so that the staff could replace it. Upon check out I was charged $5 for breaking the coat hanger. The manager was only enforcing the policy so no fault there but as I said the Esperado will need to be competitive with the new Wyndham. I booked the quarter room with view to destress after a long flight - and of course worth the money. it’s a stunning view of the Lake, the Ship/Restaurant and Schwedagon Pagoda. The room is spacious, well furnished, clean, quiet (you need to know one of the main roads is in front of the hotel so you hear the street- it’s always good to have Ohropax with you) I heard nothing from my neighbor or stuff. By the way super friendly and helpful stuff. Excellent breakfast. It’s not easy to complain for anything. I loved to stay there and recommend it highly. I think I was in Room 6008. Been on crutches for a while with a knee injury and have to say that I had no problems whatsoever with accessibility at Esperado Lake View. A couple of steps to get into the hotel from the taxi drive-in, then it's basically barrier-free. Very helpful staff, extra plastic chair for the shower, full support in the restaurant for breakfast, everything straight to the table. Very polite and supportive folks on all levels. Restaurant views stunning as always and been ordering lots of things from the menu, all tasty and good portions. My favorite hotel in Yangon, beats the expensive ones for me, too. Room is clean but doesnt feels like it because of some wallpaper ripping off and the bed need to be renew because its saggy in the middle. Nice view for the room facing the park. Good breakfast from rooftop. I had also faced Wifi issue even though the router is in the room I couldnt connect to it and thus have to connect to other room wifi which is slower speed. The good thing is the attitude, breakfast, and gym. Especially, the view of the lake of Kandoji on the rooftop restaurant was good. I recommend it as a hotel that is not so bad. Again, I want to stay if I visit Yangon. The title says it all: Excellent value for money, even the "cheaper" rooms are great and very comfortable. Staff helpful at all times and the view from the rooftop absolutely kills it (here's a timelapse of the sunset from the Esperado Rooftop: https://youtu.be/qIL8ellXt9A). Plus, the location is great right across the street from Kandawgyi Lake and you can reach most ends of Yangon in relatively short time, so it's a very convenient location if you have to go to A and B and C and just around the city to different places. Supermarket 200 meters away, a great Hindu temple just a bit further and several restaurants in the park across the street. Very, very cool place. Great hotel, lovely view (ask for a high floor room facing the lake if available). The location isn't central, so you'll need to book taxis or flag them down to get around. Most taxi drivers in Yangon don't speak English well, so you can ask the staff to help you with that if it's an issue. Breakfast was okay, and the restaurant has a great view of the Shwe Dagon. Great view of the lake. 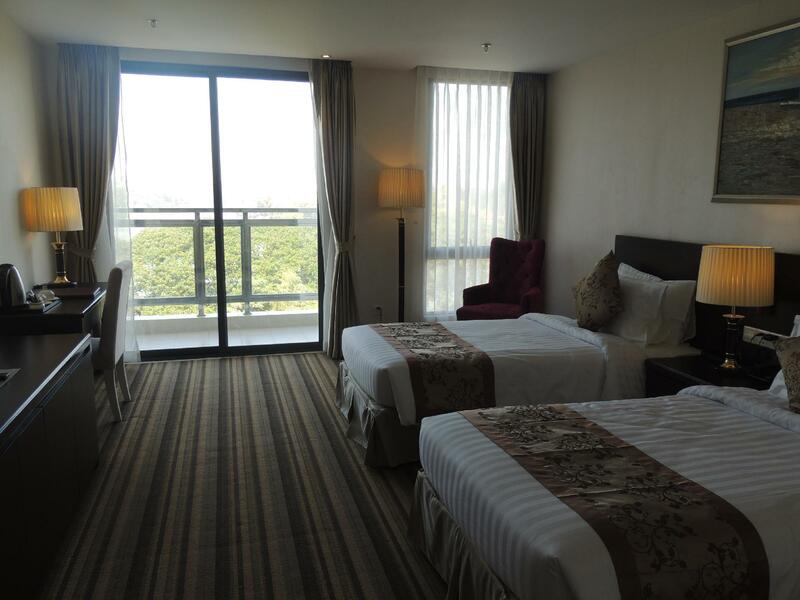 Spacious room and comfy bed, but if you stay on the low floor, you can hear the traffic and people pressing their horn. I would like to request the hotel to improve the breakfast buffet and the amenities in the bath room. Hard to find a hotel in Yangon with a better view. Sunset in the rooftop bar is stunning, the thousands of birds flying around doing the audio soundtrack to it add to the experience. Quite central location for both commutes to the downtown are and the Bahan offices. And park across the street, great for walks and runs. All well here!!! This is the second time I stayed in Esperado Lake View and can fully recommend it. It has a convenient location and the staff is extremely accommodating and nice. The only thing that I would recommend is fixing the aircon in the gym (which does not work) and speed up morning check-out. But these are not deal breakers, just recommendations. 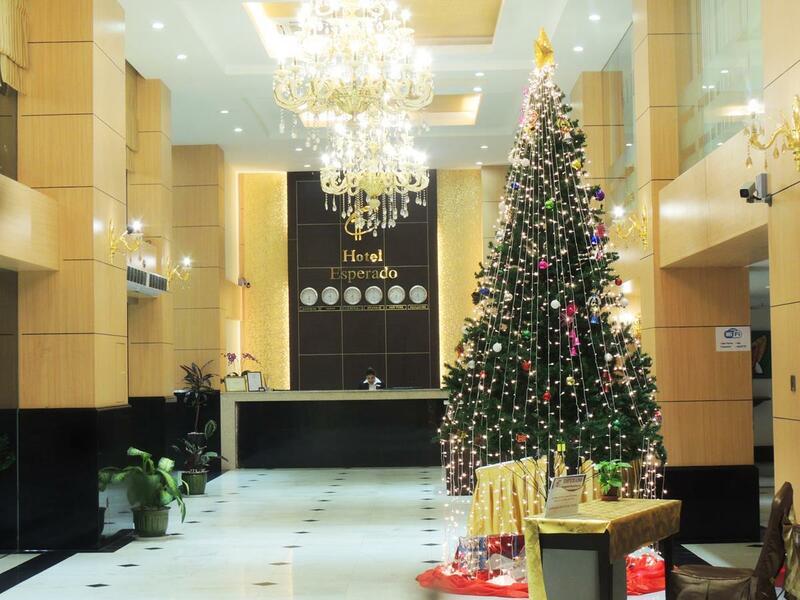 This hotel is great and will certainly stay there again in the future shall I visit Yangon. 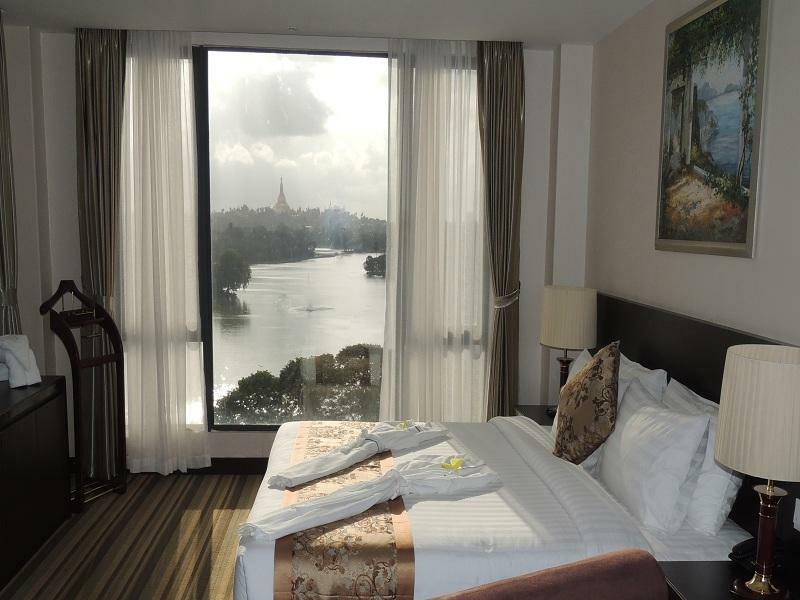 The hotel’s premier lake view room has superb view of the Shwedagon pagoda and Kandawgyi Lake. Room is clean, breakfast is nice and staff is very friendly and helpful. Overall, good value for money. We will definitely come back.